Hardik Patel, who has tried to shrug off allegations of growing close links with the Congress, on Saturday asked the Congress to come clear on PAAS' demand on quotas. 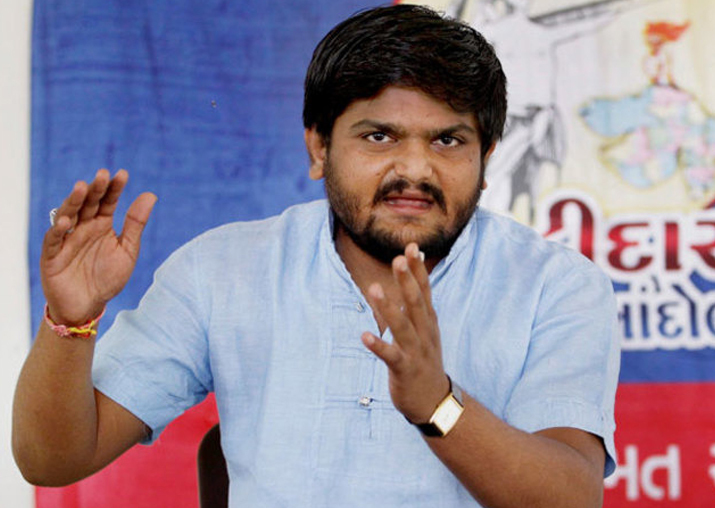 The Congress on Saturday sought to downplay the ultimatum given by Patidar stir leader Hardik Patel to clarify its position on quotas for Patels by November 3 and said the party will respond to it. Congress spokesperson Pawan Khera said the party did not consider Patel's remarks as a threat and added that the Patidar Anamat Andolan Samiti (PAAS) leader had expressed his opinion. "I do not consider it a threat. He has expressed his opinion. Congress believes in transparency and communication and not in doing deals worth crores behind curtains. Whatever he has tweeted, we will reply," Khera said at the party briefing. Khera, at one point, however, commented on Patel's language and said "I don't think that anybody in politics speaks the language." "He has of course expressed his views and I am glad that people do that in public domain," Khera added. Patel, who has tried to shrug off allegations of growing close links with the Congress, on Saturday asked the Congress to come clear on PAAS' demand on quotas. "Congress must clarify how it proposes to give reservations constitutionally by November 3, 2017. If it does not make its stand clear, an episode similar to Amit Shah could repeat in Surat," he tweeted.